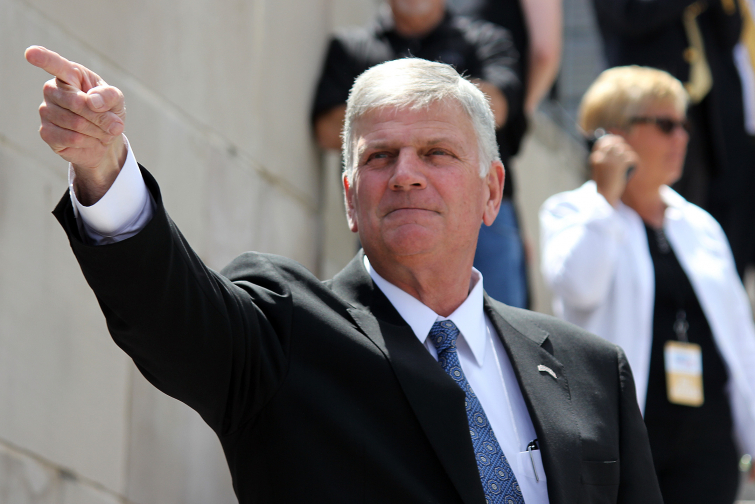 Evangelist Franklin Graham has asserted his belief that Trump will remain in power until God's purposes have been accomplished in the United States. Graham was giving an interview on how Christianity is being attacked and marginalized by "anti-Christ" media when he made the remarks, reports The Commercial Appeal. Graham believes that religious liberty is under siege from the media, and that Christians need to get behind the government-led campaign for greater religious freedom. "This has been happening across the country," he said. "It’s increasing. We are going to be attacked. Let’s pray and get Christians involved in politics." And what about Trump's remarkable election victory and his future in the White House? Does he have the hand of God upon him? “He did everything wrong, offended almost every people group, but I believe he won because of God,” Graham said of the President.